Recently, the National Officer Election was conducted. Although protests were filed, and an investigation followed, the National Executive Council (NEC) determined that they were not valid and upheld the election per the AMFA Constitution. Overall, five of the six National Officer positions, representing almost one hundred years of cumulative AMFA experience, will involve a change as the incumbents were replaced by the membership. The Officers Elect will serve four-year terms commencing on October 3, 2016. This is the final newsletter you will receive from the current NEC. Though originally elected and set to take office in October of 2012, due to valid protests and a subsequent re-run election your current National Officers were not sworn in to office until the first week of 2013. With an American Airlines organizing drive reaching its peak; the re-opening of Local 4 in Chicago; the assimilation of Southwest Airlines Maintenance Controllers, Technical Instructors, and Facilities Maintenance Technicians into the AMFA fold; and negotiations with Southwest Airlines regarding the Aircraft Maintenance Technicians, Ground Support Technicians, and Plant Maintenance Technicians, there was little time to waste getting up to speed so we hit the ground running. While working to achieve positive outcomes on all of these important issues, the NEC met to develop goals and objectives beyond what was already on our plate. We set our sights high and felt that many of the facets of our Association were lacking, including communication, representation, and advocating for the craft. Working with labor to build relationships, particularly at Southwest Airlines. When we first took office, there was no communication between AMFA and the other labor groups on property, and we were not invited to the SWA Labor Summit. At the end of our term, and as a direct result of the continuous efforts of National Officers, AMFA is now an esteemed part of the SWA Labor Summit and can claim positive working relationships with most of the labor groups on property, to include the Southwest Airlines Pilots Association (SWAPA), Transport Workers Union Local 555, and Transport Workers Union Local 556. The last two achievements are huge! AMFA has a much storied history with the rest of labor, and our past has created quite the obstacle in having any kind of relationship with other unions. With hard work and dedication, we were able to get past this stumbling block to develop the coalition that you see today. Achieving legislation was another enormous success. The Association has toiled for years in Washington, DC to have any impact on the craft. Until recently, our efforts, although real, were not having much of an impact. We aggressively targeted the FAA Reauthorization to put some framework around the proliferation of foreign repair stations. After over one hundred meetings with the House and Senate Members and their respective Staff and the creation of an alliance across the aisle, we were successful in getting background checks and random drug testing on foreign repair station technicians signed into law. Most organizations our size will go their entire existence spending time and resources trying to have legislation passed to no avail. 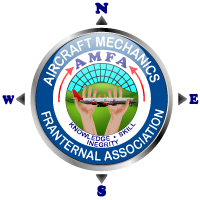 AMFA has for over 50 years, and until now was not successful. Of course the NEC had help along the way. We attempted to work with the Locals and labor partners to accomplish our goals and were successful in many cases. We would like to thank those who did offer their assistance, for we surely couldn't have done it without you. Although we met many of our goals and objectives, we were unfortunately not able to accomplish everything, so it is bittersweet to reach an end such as this. Many of the current officers wanted to continue representing you at the National level, and felt that there was more to be done; however, the majority of those who voted obviously believed differently and replaced us. We wish these new Officers the best as they navigate their new roles. Thank you for the opportunity to serve. It has been both an honor and a privilege. To borrow and rephrase a quote from Abraham Lincoln, never forget that AMFA exists of the technician, by the technician, and for the technician. 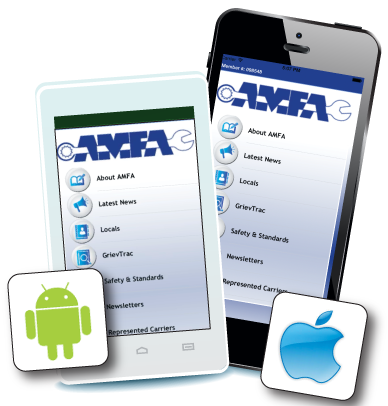 Your livelihood matters and AMFA has proven that it truly cares about you and our craft. It is up to you to demand that the future of this Association be evidenced by four words, three of which are found on the front of our Constitution: Knowledge, Skill, Integrity, and Professionalism.